Last month we gave you the Ultimate Staircase Design Guide and this month we will continue providing helpful advice, but this time it will be around kitchen cabinetry and drawers. 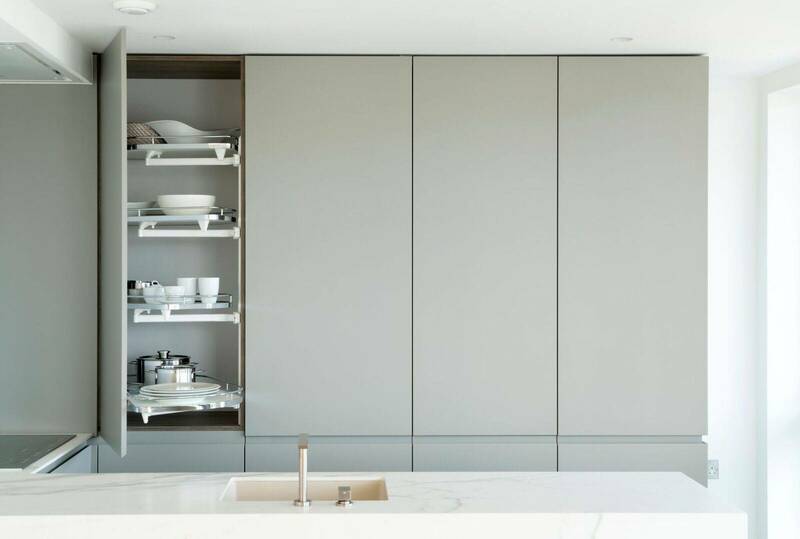 This guide will give you a brief overview of the materials and finishes for cabinets and drawers, as well as the advantages and disadvantages of each with a demonstration of what this looks like. 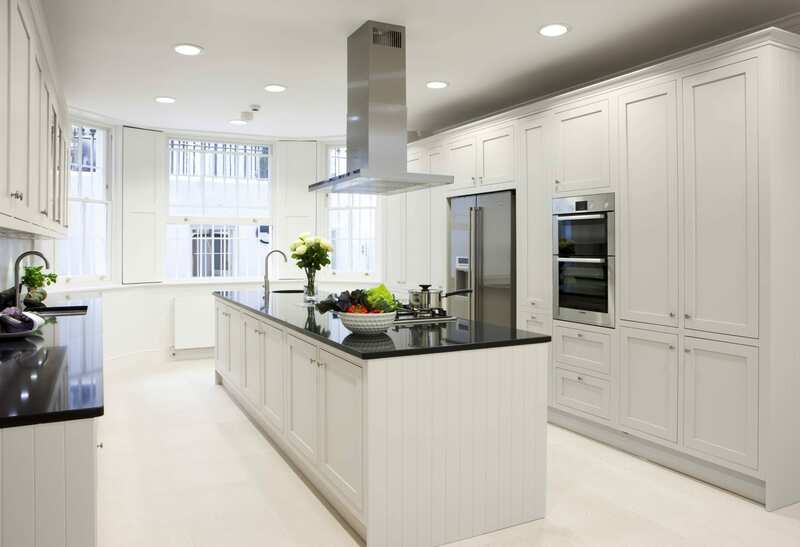 To ensure you are satisfied with your kitchen for years to come it is important you have a full understanding of what your lifestyle looks like and this will give us a good understanding of how you wish to use the kitchen. For example, if you have a large family then perhaps you spend more time in your kitchen or you might be a social butterfly, so your kitchen is for show when guests come over. Once your lifestyle is fully understood then the next step is to think about your preferred style of kitchen, for example Traditional English or Modern Luxe. Once you have gained clarity on how you will use your space then it is a much easier task to select the finish of your cabinetry and drawers. Solid wood (oak or ash) is a popular choice for a traditional shaker style or a contemporary classic kitchen amongst our clients. Layers of paint would be applied to the solid wood to maintain the visibility of the natural wood grain, which can be an appealing detail for homeowners wanting character and charm. If you are considering solid wood then be mindful that hairline cracks on painted solid wood cabinetry will eventually appear. This happens because the natural movement of wood these cracks become more pronounced in humid environments, therefore, companies may request you to sign a finish waiver. If you are considering a solid wood finish then be mindful this falls into the higher price range. For someone seeking a more contemporary look then consider lacquered doors and drawers. 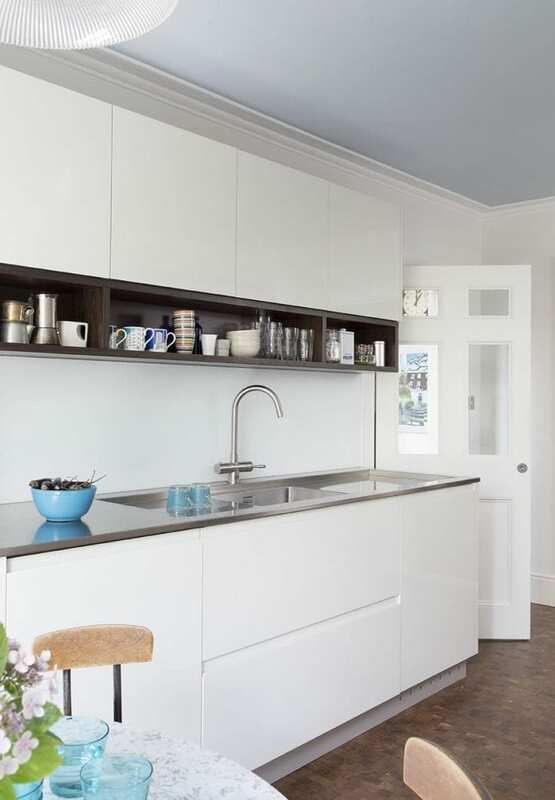 This type of cabinetry is available in a wide variety of colours and finishes from matt to satin and high gloss; for best results, we would recommend lacquer MDF. As this is a washable finish it is easy to maintain therefore it is popular finish with homeowners. The paint can chip if used with force, so we advise you to order touch up kit once you have this cabinetry installed as will contain paint from the same batch of paint used on your cabinetry. Made from thin and delicate slices of wood affixed to a durable substrate material, a veneer is a cheaper way to achieve a wood effect. It is available in satin, gloss, and high gloss, with greater resistance to warping compared to solid wood. Although very practical, veneer can look less elegant than solid wood, and can easily scratch, therefore requires a greater deal of care. Marine varnish can be used to make it more watertight, therefore, providing it with greater durability. Veneer is only available up to 2.5meters and if it is longer than this in length then it would need to be joined by a specialist. In the image above the veneer is a high gloss piano finish and it has been contrasted against white matt lacquered lower cabinets. 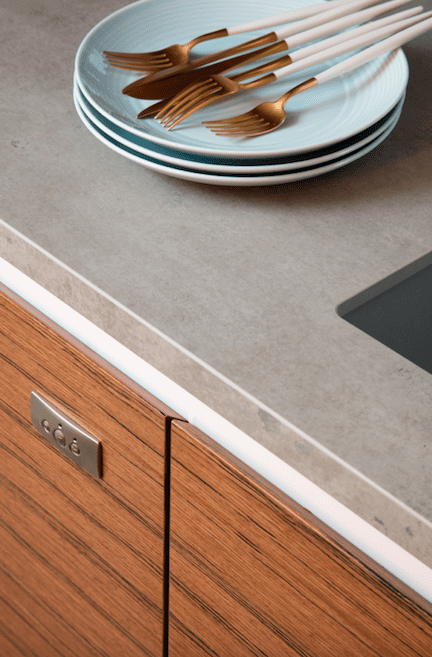 Constructed of a high gloss solid acrylic, Parapan is a glossy mirror-like finish and it lends itself to a contemporary style that is used often in kitchens. Parapan tends to be a pricier option as it is a durable, scratch and water resistant material, which is also UV resistant, so the colour won’t fade. In the image above the finish has been demonstrated with custom cabinets matt finish in black and white. Whatever finish you decide to use for your kitchen cabinets, be sure to seek professional advice before committing. Feel free to contact us here; Amberth or head over to our Houzz page to see more projects.